THE MADMAN IN YOUR FACE 3D SPECIAL! 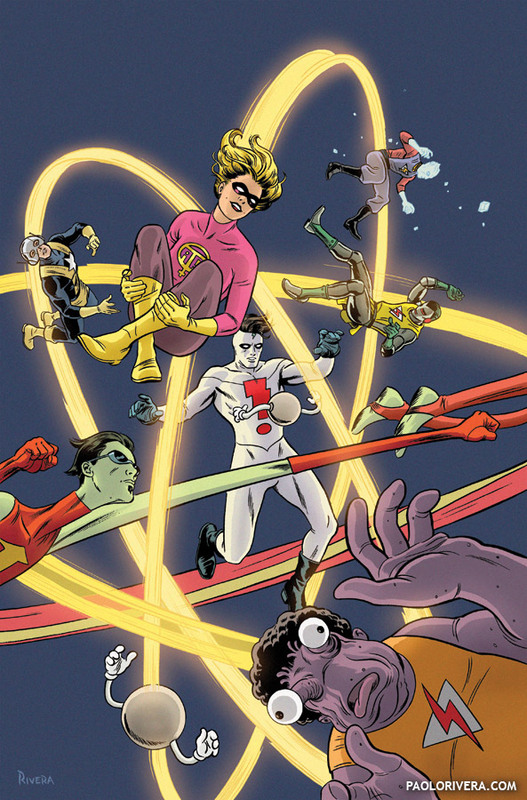 Scroll through this gallery to see some of the new pin-ups and a page from the brand-new five-page story, all featured for the first time in glorious 3D thanks to Christian LeBlanc. Images featured above, in order (scroll by clicking on them); the 3D cover; Nick Dragotta pin-up; Becky Cloonan; Declan Shalvey & Jordie Bellaire; Paolo & Joe Rivera; and the opening page of the book's new story. 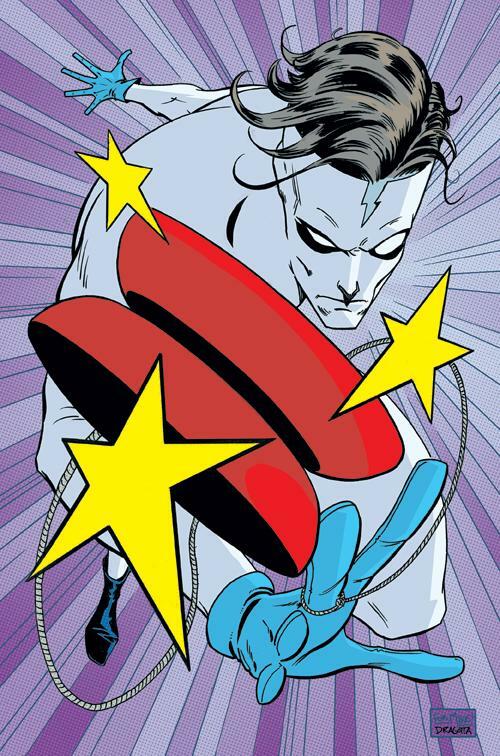 Below: a page from Madman Atomic Comics #9, a.k.a. 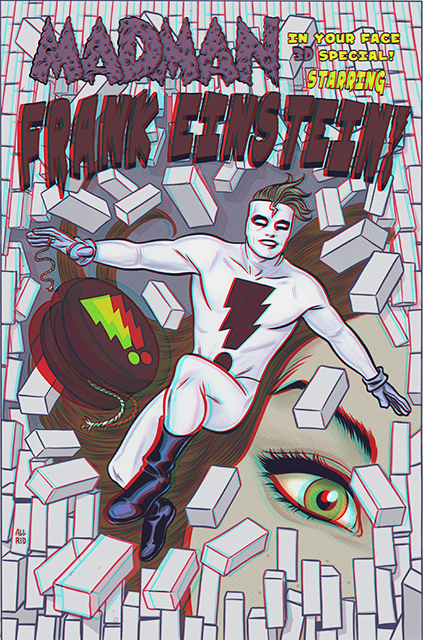 the world's longest comic book panel; a pin-up by Marcos Martin (cross your eyes, it's in 3D! ).